Shep Stanley is murdered when he is just fifteen years old, leaving his mother, Irene, bereft of the will to live. Disjointed and unable to connect with the world around her, she becomes a stranger to her family and friends, moving through life but never really feeling anything. Filled with an all-consuming hate for her sons killer, Daniel Robbin, her days are consumed with dreams of retribution. Weeks, months, years spent fantasising about justice and the day he will be sentenced to death. But after years of bitter loathing Irene begins to realise that she cannot go on living on the sustenance of hate. It’s forgive or die and so she digs deep into her heart and somehow finds the strength to forgive the boy who stole her son’s life. Irene writes to Daniel informing him of her forgiveness, Irene has no idea that they will embark on a ten-year relationship, never meeting, but writing back and forth to one another for years. When ten years later his warrant for execution is finally passed, Irene is once again lost. How can she stand to lose someone else? The novel reaches a fever pitch as the date for Daniel’s death looms closer and Irene’s family learn the truth about her desperation to save Daniel. I found myself tearing through the pages desperate to see if he would be saved, all the while unsure if I really thought he should be. I love books that challenge my ideas and force me to re-evaluate my opinions. The Crying Tree is the master of this and below my fascination to find out Daniels fate, lay deeper and more complex musings. I’d always had rather abstract feelings about the death penalty, it’s not a concept that I relish, but in some extreme cases I will confess to assuming it could be apt. But the wonderful thing about Rahka’s writing is the way she really forces her readers to rethink everything they’ve ever thought about an issue. As I read on, a light was lit on my own ignorance, here I was condoning people and making claims about my own capacity for forgiveness, when really I had never given enough thought to the idea of corporal punishment or what true forgiveness is. Rakha gives humanity and life to Daniel Robbin, revelling a man with a past, feelings and the capacity for love and sorrow. Whilst the rest of the rest world continue to perceive him as a cold-blooded murder, Irene begins to see him as a young man who made a huge mistake. Nothing is simple or as it seems in this moving and beautiful story. Rakha writes with a gentle, melancholy tone, never rushing her story or bogging it down with overly dramatised events. Instead she allows a very human and in turn real story to blossom. There is something harrowing in the journey Irene must take and I felt humbled by her actions. I wish there were more books like this, one’s that hold my attention and compel me to read on, all the while changing the way I see the world. 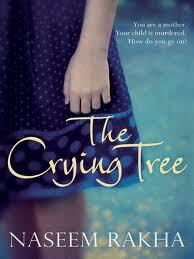 Has anyone else read The Crying Tree, if so did you enjoy it? Did it force you to rethink your idea’s? Or did the novel fail to stir your emotions? I’d love to hear your thoughts. It’s being a while since I joined in with Booking Through Thursday’s weekly meme, but when I saw todays question I knew I had to get involved. This question immediately intrigued and excited me. My book collection is one of the most precious and sentimental things in my life. Each book is loving cared for and my entire collection takes centre stage in my home; the shelves carefully and intricately arranged. The idea of losing my entire collection therefore fills me with dread. But what if I could save just one book? As painful as the thought of losing my books is there is one book that instantly comes to mind and is irrefutably, without doubt the book I would save. 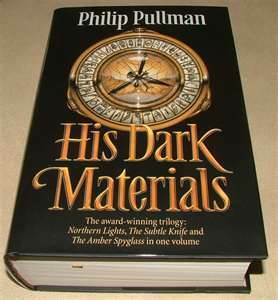 The book is the His Dark Material collection by Philip Pullman, a trilogy that includes Northern Lights, The Subtle Knife and The Amber Spyglass. The specific book in question was a gift last Christmas and it’s a very special book indeed. Beautifully designed with a classic cover, this book is a first edition collectors item. It’s the only first edition of a book that I own, perhaps making it even more dear to me. It’s also one of my all time favourite books, a collection of stories I could read again and again. So this is the book I would save. I’d feel deeply guilty about leaving my other books but I couldn’t consider losing this volume. Sentimental, full of memories, a book I am truly proud to own. What about everyone else, if your house was burning down, which book would you save and why? I’d love to hear your answers and don’t forget to post your answers at the Booking Through Thursday site. Thanks BTT for coming up with such a great question and for prompting to really appreciate my book collection. 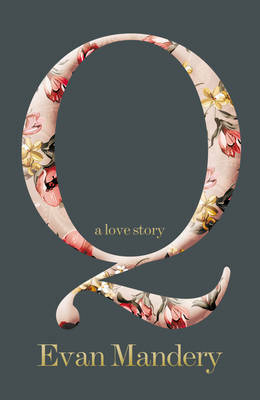 When I first heard the premise for Q I was torn, a story about an unnamed writer who is visited by his future self and told not to marry the love of his life sounded in equal measures fascinating and worryingly corny. Fifty pages in and my feelings were edging towards disappointment, I’d failed to connect or emphasise with Mandery’s story. The whole book seemed overly detailed and spoilt by serious bouts of procrastination from the writer. But just when I was thinking of throwing in the towel the story progressed and my interest was slowly piqued. I began to forgive Mandery for his frequently frustrating writing and instead started to realise that this was more than just your average love story. When our hero is visited by a future self telling him not to marry Q he is off course perturbed and naturally reluctant, he loves her dearly and can’t imagine being with anyone else. But then this future self knows him better that anyone, surely his advice trumps anything else? And so he acts upon these instructions, only to be visited soon after by another version of himself who tells him he should marry another woman. But then a few months later he his visited by yet another future self who tells him he should not now marry this women. And so the story progresses in this vain. Off course he is exasperated, he has faithfully followed the advice of his older self, only to receive contradictory instructions further down the line. I’m sure every reader would interpret this book differently, but to me Mandery seemed to be exploring the rather poignant idea that we cannot, despite our very best efforts, control our lives completely. Nor can we guarantee our happiness. Our hero seems to be so determined to have a happy and succesful life that he follows any of the steps he is told to take. It doesn’t matter that the path he really wanted to take may well of made him sad but also happy in equal measures, he seems to be chasing ultimate happiness. I loved the idea of the book and the message I took from it. There have being many crossroads in my life where I’ve tried to take the path in life that we will make completely happy, the path that will give me perfection. But after reading Q, a message has remained in my mind. Maybe it is greedy and foolish to try to find ultimate happiness? maybe there is no such thing? Although this is very much the message that I took from Q, I am aware that this is one of those wonderfully rare stories that really encourages a wide spectrum of interpretations from its readers. I’d therefore love to hear from anyone else who has read this book and find out your interpretation of the story? Did you like the book? What was your interpretation of it? Reviews that I’ve read of this book promise a heartbreaking ending. This wasn’t quite my experience, I’ve read other love stories that have moved me to tears. Q just wasn’t on that level. But it did leave me with a strong message that still sticks in my mind. A good read for anyone seeking something a little different that will really make you think. As I began packing for my holiday just a few weeks ago, there was one essential I knew had to make it into my suitcase. 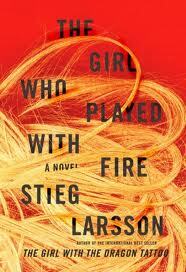 Amongst the sunscreen and bikini’s, room just had to be made for The Girl Who Played With Fire by Stieg Larsson. I first fell for Larsson’s witting earlier this year when I began the mesmerizing and unforgettable The Girl With The Dragon Tattoo, a book which captured my attention with its edgy and daring style. I was off course tempted to start The Girl Who Played With Fire almost as soon as I had finished the first book, however some books are just perfect holiday stories and this story really fits the bill. Mentally not too demanding but still emotionally hard-hitting with a plot line I can really sink my teeth into. So I forced myself to wait and frankly it was well worth it. No sooner had a I sunk into my sun lounger then I was totally immersed within the story. 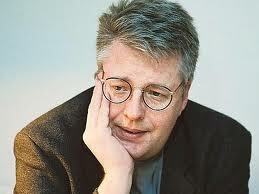 The novel begins with the same fast and urgent pace that makes Larsson’s stories so intoxicating and captivating, my mind was soon reeling with excitement. A year has passed since Lisbeth Salander and Mikael Blomkvist were embroiled in the Wennerström affair which so nearly ended in tragedy. Now Lisbeth has seemingly disappeared from Stockholm and a frustrated Mikael has being unable to contact the mysterious and beguiling ‘wasp’. But Lisbeth is never a simple or predictable character and whilst the rest of the world might be in the dark about her whereabouts, Larsson allows his readers to become personally reunited with our ‘heroine’. Off course her life has been in no way dull and we soon learn that she has ‘aquried’ a sizeable fortune which has allowed her the time and space to finally begin to move forward from her dark and tortured past. But I knew that nothing could be so simple and I waited with bated breath and a sense of unease and fear for Larsson to really mix things up. When two innocent journalists are murdered Lisbeth becomes the number one suspect, the whole of Sweden seems desperate to have the elusive young woman captured and reprimanded, the police refuse to consider her as innocent and any establishment or person of authority is only too keen to label and cast of Lisbeth as a deranged and dangerous woman beyond any help. I wont spoil the plot of the story, my description so far only scratches the surface, what lies beneath is a richly complex treat all readers such discover for themselves. However winning plotline aside, there’s another element to this book that for me was far more enduring and important. This is Lisbeth herself. Never has a character left me so fascinated or held me in such rapture. It’s one thing for a writer to create a character who is affable and pleasing, it’s another for a writer to create a character who is one hand appealing, sympathy inducing, often heroic, and at times even loveable, but at others questionable, freighting and even horrifying. There’s something so much more human and believable about a character like a Lisbeth. She is not perfect, nor is she a biased product of her creators imagination. But she is multi faceted, she has many layers, her actions can be condemnable, even repulsive and yet they can be inspiring and moving. Larsson forces us to draw on our morals and ethics and as well as encouraging us to emotionally connect with Lisbeth. And for me this made her one of the most intriguing female characters in a work of fiction. She is someone who society has condemned and pigeon hold, rejected and defiled, and yet she has risen from her past, endured, survived and stayed true to herself. Her life choices cannot always be justified, but would she be so plausible if you could? It’s good to meet a character who really shakes up literatures perceptions of women. The fact that the book was written by a male, a male no longer alive and therefore unable to comment upon his work, well this just makes the book all the more unforgettable for me. Now, after nearly six hundred pages even this fan needs a short break, but I’m sure it wont be long until I’m trying the next in this instalment, Th Girl Who Kicked The Hornets Nest. But what about everyone else, have you read this book or any other of the Millennium books, maybe you have read them all, or perhaps you’ve seen the films. Either I’d love to know what you all think. 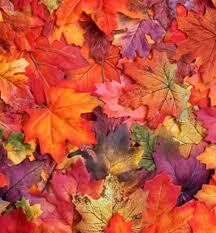 I can’t quite believe that Autumn is here already, where has the time gone? I feel like recently I’ve being full of good intentions and yet all I’m delivering is apologies. Despite having many wonderful books that I want to tell you all about, time quite literally seems to be alluding me. Every time I sit down to share my thoughts I instead find myself astonished by how much time has elapsed since my last post. So as the dark nights start to draw in and winter begins to envelop me I’ve made it my concerted effort to sit down with my laptop a lot more and keep you all updated on what I’ve being reading. Off course I know how busy these next few months will be so I can’t make any promises, nor can I set myself unrealistic goals. What I will do though is start to catch up on some long overdue reviews that I want to share with you. After all I’m still yet to tell you all about the tragic love story buried in Evan Mandery’s Q, or the shocking story of Warm Bodies, not to mention the other books I read last month, like The Crying Tree by Naseem Rakha, or The Girl Who Played With Fire by Stieg Larsson. Or A Tree Grows in Brooklyn by Betty Smith. All books that fascinated me for different reasons and thankfully all books I’d love to recommend to my readers. It’s probably helpful really then that I’m experiencing a reading lull, that should surely free up some much-needed time to write. Usually I hate reading lulls, I always panic, how long will I have these luke warm, apathetic feelings to a pastime I usually can’t live without? But after a two-week holiday of quite literally doing nothing but reading, I actually feel I need a break just so I can remember how much I love reading. So it’s time to put my books aside this month and catch up with my readers. But whilst I’m having a break from books, what have you all being up to? Have you been having a reading lull? Or is there a book, or several books that you’ve being fully immersed in? I’d love to hear about what you’ve being up to and which books have being keeping your attention. Of all the funny days we seem to celebrate, from crumpet day to ninja day (yes there is such a thing) I was very thrilled when I remembered that today was officially Roald Dahl day. I’m sure many people already knew this and many others will no doubt be pleased to find it out. Dahl is after all responsible for introducing people from all ages and backgrounds to the wonderful world of reading. I bet we can all remember with vivid clarity the first time we discovered Roald Dahl’s amazing imagination and talent for creating the most captivating and spellbinding stories. What was the first Roald Dahl book that you discovered? What is your favorite Roald Dahl, and why? If you were picking a Roald Dahl book to give to a reader who had never read one of his books before what would you chose? And finally why do you love Dahl so much? I do hope you’ll decide to let me know your answers, I’d love to hear everyone else’s feelings, memories and experiences of reading Roald Dahl. The first Roald Dahl book I discovered was The BFG, my older cousin had a copy and I remember being fascinated and terrified by the books illustrations in equal measures. I was delighted to realise that the scary looking giant was in fact a lovely friendly man and his image has become symbolic of my memories of children’s literature. My favourite Roald Dahl book is The Witches, I was literally petrified as a child by these scary old ladies who acted and talked just like my grandma’s. What if my beloved nan was really an evil witch? This book had all of my emotions stirred, fear, joy, love and rapture. This was when I truly realised the pure thrill of reading. 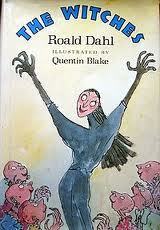 If I were picking a Roald Dahl book for a first time reader I would probably end up cheating and picking two. I know, I know I asked for one book. 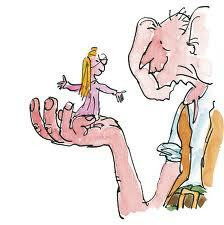 But I just love George’s Marvellous Medicine and Matilda so much that I’m picking them both. (Feel free to cheat too, if like me you just can’t settle on one book).Who could fail to be enthralled by either of these captivating stories? Matilda is so uplifting and hopeful and Georges Marvellous Medicine is just so side-splitting funny. And lastly, I love Dahl because even at twenty-seven I still love reading his books with just as much fervour as I did when reading them as a little girl. His books are more than just stories, there memories. The illustrations are beautiful pieces of art and his characters are like best childhood friends that you’ll never forget. So now I think it’s time to make a hot drink, curl up in bed and lose myself in Georges Marvellous Medicine, I recently treat myself to a charity shop copy because sometimes we just need to revisit our youth and remember a really amazing writer. 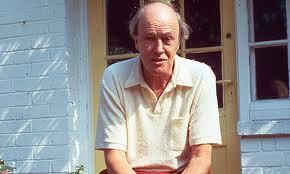 Happy Roald Dahl day everyone, how did you celebrate? There are books that we read and enjoy, then there are book that we read and instantly fall in love with. Enchanted from the first page and forever unable to forget them. 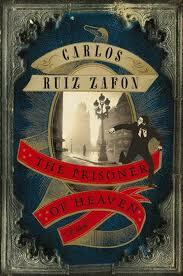 The Shadow Of The Wind by Carlos Ruiz Zafon is one such book for me, so it was with extreme excitement that I began reading his new novel, The Prisoner Of Heaven. The novel opens by rejoining Zafon’s cast of eccentric and unforgettable characters. Daniel Sempere has married the love of his life Bea and is now the father of his first son Julian. His father still runs his beloved bookshop, Sempere & Son. And Fermin, against the odds, is soon to marry his fiancé. 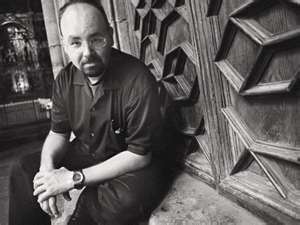 For Fermin Romero De Torres, who returned from among the dead and who has the key to the future. Daniel is torn, should he tell his good friend of this strange occurrence, or should he try to solve the mystery himself? Upon closer inspection Daniel realises that Fermin’s past is even more dark and complex than he had ever imagined. From Fermin’s time imprisoned in Montjuic Castle, to his desperate attempts to restart his life. He has lived a turbulent and often tragic existence. But even more startlingly Daniel will come to realise just how intricately his own life links to Fermin’s; opening painful wounds that Daniel would rather forget and causing him to become fuelled by jealousy and the need for revenge. From people who have read and loved Zafon’s work, to those new to his stories, readers of this book are bound to be hooked. From the magical opening to the climatic and dramatic ending, this story is intoxicating. Like a Russian Doll with many layers to discover, Zafon packs story upon story into one super story, the effect of which left me reeling with excitement. But with all this undulated praise I have to say the book, for me, wasn’t without fault. Frustratingly the female characters of Zafon’s book seemed even more one-dimensional than in The Shadow Of The Wind. Zafon, a man of irrefutable imagination, seems incapable of presenting anymore than two types of women. There’s the good, virginal woman like Bea. And then there is the alluring, dangerous tempest who turns good men to bad acts. I can’t deny that this element of the book didn’t annoy me, or baffle me for that matter. How could such an insightful writer lack such vision in this one area? Maybe there is room for improvement though, I’m certain Zafon geared up this story for another follow-up book. I can’t tell you how much I hope this is the case, not only am I well and truly addicted to Zafon’s writing, he also left some tantalizing questions unanswered. Interestingly this is now the third in a series of book, The Prisoner Of Heaven relates to The Shadow Of The Wind and The Angles Game. Zafon explains at the beginning of the book that all three books are connected, however do not need to be read in a particular order. I like this idea. First time readers of his need not be daunted by a trilogy of books but could start anywhere. I’m yet to read The Angels Game but it’s top of my list. Has anyone else read it? And if so is it as good as his other stuff? Has anyone else read this book? Do you plan too? What is your favorite Zafon book so far? I’d love to know your thoughts.